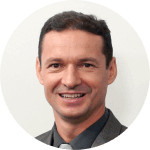 I have recently completed 90% of my PhD in Leadership Strategies and the relation with Innovative Agile Methods at the Federal University of Minas Gerais. I was responsible for the management and the execution of the research study phases. Of course, this includes time management and quality control of the project, supplying feedback and status to senior researches staff and my supervisor as needed. My PhD involved primary research with entrepreneurs and project managers, culminating in a set of recommendations for IT and non-IT organizations looking for strategies in new project management agile methods like Scrum, eXtreme Programming, and Kanban. Prior to that I completed a Master Science in Business Administration at the same University, where I gained strong experience in mix methods of academic and market research. I would like to mention also my Master in Business Administration (Executive MBA) completed in the European School of Business (ESEUNE) located in Bilbao, Spain. I have held research assistant posts in both academia and in marketplace making me ideally suited to a role focusing on the interface between researchers, supervisors and interviewers. I also took the opportunity to learn advanced data analysis methods and techniques, for example using software like MAXQDA to investigate the qualitative and quantitative data. I delivered reports with word frequency, content analysis, mind maps, cloud tags, word trees, and correlations. At the Department of Marketing, Strategy and Innovation I worked as part of a team of researchers and PhD students from different disciplines like Neuroscience and Computer Science just like me. This increased my confidence in communicating my research project to those outside my field and improved my multidisciplinary skills. As an active member of the PhD Staff Student Group, I learnt how to solve a research problem, build relationships with academic staff and to negotiate practical solutions. On the other hand, I have many years of experience in project management, working for companies like IBM and Freescale Semiconductors Inc. I am confident that my expertise in research projects and project management, my broad experience in both academic and market research, my focus on a multidisciplinary approach make me an ideal match for this position. Alves, E. J. (2015). Inovação em organizações produtoras de software. Saarbrücken: Novas Edições Acadêmicas. Alves, E. J., & Gonçalves, C. A. (2017). Qualitative Comparative Analysis as Research Method in Business Administration: A Systematic Literature Review. Métodos e Pesquisa Em Administração, 2(2), 4–18. Alves, E. J., & Gonçalves, C. A. (2018). Project Portfolio Prioritization Framework-Case Study Applied at a Brazilian Semiconductor Subsidiary. Iberoamerican Journal of Project Management, 9(1), 55–77. Alves, E. J., & Lopes, A. L. M. (2011). Eficiência Relativa de Organizações de Tecnologia da Informação em Minas Gerais: Considerações Acerca da Gestão da Inovação e Indicadores Financeiros. In XXXV EnANPAD (pp. 1–12). Rio de Janeiro.